I am delighted to introduce the Naval Heritage Strategy. In 2004 the Naval Heritage Committee was established with a remit to ensure that Naval Heritage is deployed to its full potential in promoting the Naval Service and that the full range of our heritage assets is appropriately resourced, managed and employed in a coherent manner. A key part of the Committee’s work has been the development of a Naval Heritage Strategy. 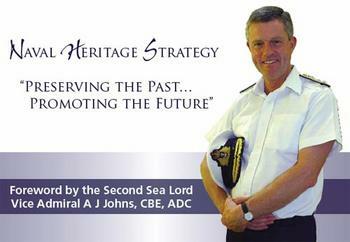 The Strategy is an important statement of the principles which will underpin our management of the Naval Heritage. It also sets out a number of key objectives designed to ensure that Naval Heritage promotes the Royal Navy and Royal Marines, is properly conserved, maintained and made widely accessible to the public. The publication of the Strategy is an important milestone, but it is not an end in itself. Working with our partners and stakeholders, including the four naval service museums, we now face the challenging task of successfully implementing its key objectives. Amongst these is the creation of a National Museum of the Royal Navy to underpin a much improved profile for the museum element of naval heritage within the broader heritage sector and one which properly reflects the wealth and breadth of the naval collection.